The Northern California fires of October 2017 created poor air quality and distributed toxic air contaminants over the region. Following the fires and the incredible response from local farmers, UCCE Sonoma County embarked on a “Produce Safety After Urban Wildfire” citizen science project to help answer community concerns about whether the safety of local produce might have been impacted by contaminants carried in the smoke and ash from the fire. 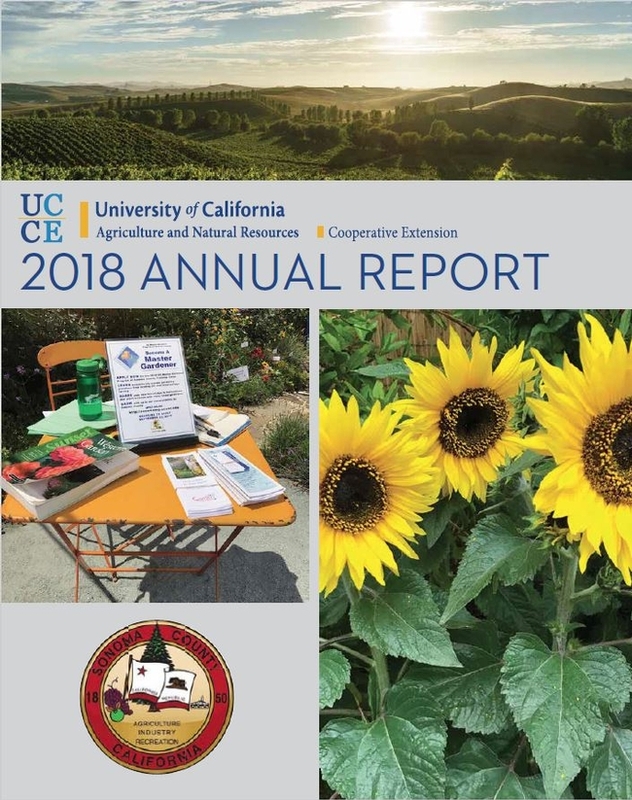 With the support of UCCE Sonoma, community members concerned about the impact of toxic smoke on local produce and UCCE Master Gardeners took over 200 samples of leafy greens from 25 gardens and farms across Sonoma County in the immediate aftermath of the fires; in the summer of 2018 the team took soil samples from five of the original sites sampled. 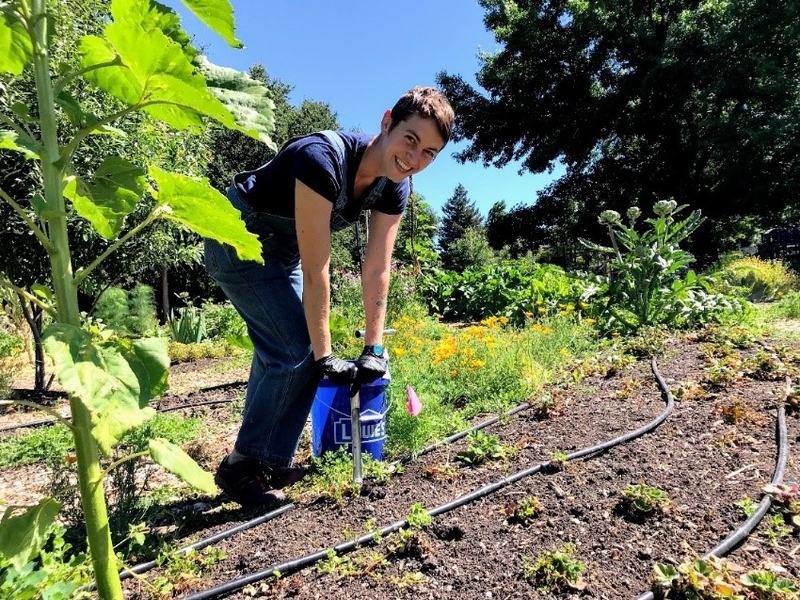 Using funding from University of California Agriculture & Natural Resources Division and the Bay Area Air Quality Management District, we had produce and soil samples from five sites most likely to have received deposits of toxic air contaminants from the urban wildfire tested for heavy metals, dioxins and polycyclic aromatic hydrocarbons. Based on preliminary findings, we hypothesize that produce safety was not significantly affected by the fires and may be mitigated by washing produce. Preliminary analysis was inconclusive but did not indicate a high degree of contamination. Polycyclic aromatic hydrocarbons were inconclusive due to high method reporting limits from our laboratories. Heavy metals were of low concern, with no detection of lead, arsenic, or mercury. Nickel was found in 2 of 8 samples at levels exceeding Proposition 65's No Significant Risk Level but which may be mitigated by washing produce. Dioxins were of some concern with concentrations found above background levels from FDA's Dioxin Monitoring Program, but below NSRL. It is important to note that over long periods of time, exposure to these chemical groups at very low levels can still contribute to health impacts, including at levels below what our tests are able to detect. Numerous health benefits including cancer risk reduction have been attributed to green leafy vegetables. These benefits may outweigh the additional risk from trace contaminants detected in some produce in this study. Quantitative comparisons will be provided in our final report. Some individuals have higher risks and may want to be in communication with their healthcare provider to better understand if they should take extra precautions. Individuals at higher risk may also benefit greatly from the high nutrition in green leafy vegetables and fresh produce. 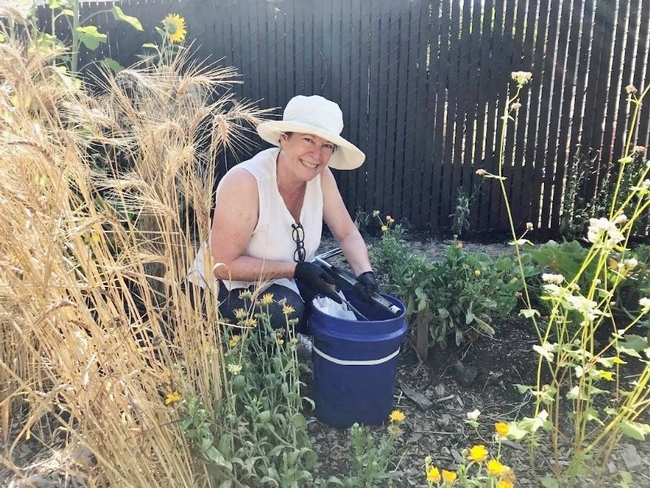 Best practices for reducing risk include: wearing a respirator mask during poor air quality; washing produce thoroughly in running water; peeling root vegetables, testing soil regularly; containing and amending contaminated soil through sheet mulching, raised beds, and compost. Best practices that enhance protective factors and should also be pursued, such as increasing produce consumption to promote healthy nutrition, improve immunity, and support resilience to chemical exposures. Over the next few months, we will be completing our final report and creating additional tools for communicating these results to concerned community members. In the Spring of 2019, we will be conducting community workshops. Reports, handouts, workshop materials, and the protocols from the study will be made publicly available for use by communities experiencing wildfire in the future. Local food producers: The recent wildfires are creating dangerous air pollution in our region. The biggest threat to your health is from inhaling the smoke. Protect your lungs by staying indoors whenever possible, and wearing a respirator mask when outdoors. An N95 respiratory is the minimum protection recommended, while a P100 will provide additional protection from petroleum-based chemicals and smaller particles. Employers of outdoor workers should consider adequate protection for their workers, such as limiting the time that employees work outside and providing adequate respiratory protective equipment (see California Code of Regulations Title 8 section 3203, Injury and Illness Prevention Program, and section 5141, Control of Harmful Exposure to Employees). plant samples DO NOT show extensive contamination of produce exposed to wildfire smoke, and our findings suggest a low health risk from ingesting produce exposed to wildfire smoke. Fresh produce, especially green leafy vegetables, are critical for nutrition and promoting the body's resilience to the health impacts of smoke. 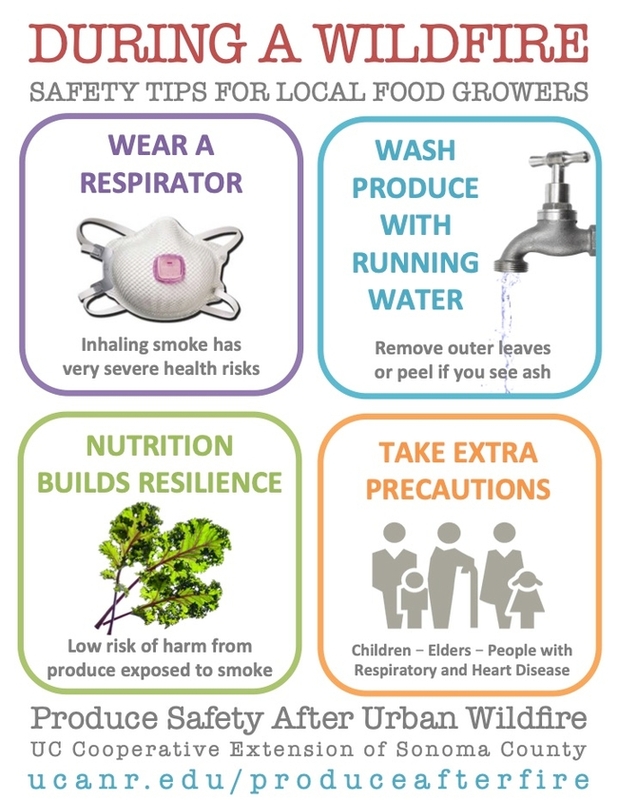 To further reduce risk of contamination, wash produce with running water and remove outer leaves or peels and wash hands after harvesting produce or coming in contact with soil and ash. Some groups are more vulnerable to health impacts from the smoke and should take extra precaution during this time, including children, elders, and people with respiratory and heart conditions. If you are a garden educator working with kids, please consider activities that can be done inside until air quality improves. 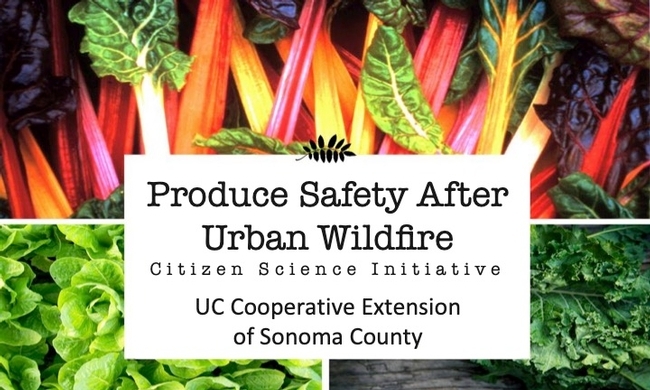 See our Produce Safety after Urban Wildfire for more resources and information. Sign-up for our google group of community members discussing these issues and sharing strategies.